Raised kicks off the St. Patrick’s Day festivities with an Irish-themed menu package from 8 am -10am on Saturday, March 16. Guests will be immersed in all things Emerald Isle with an exclusive food and drink menu complete with green beer on tap, unlimited mimosas and Bloody Marys. Food items on the package menu include Sausage and Rye with whipped garlic mash, beer mustard, peppers, and onions, Corned Beef Brisket with egg, Dubliner cheese, and roasted tomato jam, Crispy Chicken Waffle with Jameson-maple aioli, chive, carrot, and green cabbage slaw, and Egg White Spinach Wrap with spinach, herb roasted tomatoes, Irish cheddar, and potato hash. Patrons will also have the option to order items from the regular food and beverage menu starting at 8am. Tickets for the package are $75 per person and can be purchased at eventbrite beginning February 11th,. After 10am, Raised will be open to the general public. These all-day celebrations at Raised will only be available for those 21+. South Loop’s rooftop destination located at 133 East Cermak, is celebrating St. Patrick’s Day by offering Chicagoans an assortment of Irish classics with a twist on Saturday, March 16 and Sunday, March 17 from 4:00 p.m. to close. During the fun-filled weekend, patrons will enjoy Irish-inspired shareable plates and unique beer cocktails, in addition to the holiday’s staple - green beer. Patrons looking for something tender, and bursting with subtle spice, can indulge in Irish Lamb Sliders with braised lamb, cabbage, and garlic aioli, served on a potato bun. Colcannon, a traditional Irish recipe, will also be offered with red potatoes, braised cabbage, leeks, and crispy bacon lardons. Individuals seeking something slightly sweet can enjoy the Soda Bread Toast served with apple raisin compote and a whiskey whipped cream. To complement the classic menu offerings, guests will enjoy a selection of beer cocktail offerings, including Michelada Verde with Modelo, Worcestershire sauce, green tabasco, lime, and spiced with a Tajin rim; a Dram Mule with Irish Whiskey, ginger beer, bitters, lime, topped with beer; aBEERol with a fruity and spicy saison beer, Aperol, lemon juice topped with a lemon twist; and Fancy A Few Scoops made with beer, agave nectar, lime zest, lime juice, and a lime wheel garnish. ROOF on theWit, located at 201 N State and just steps away from the Chicago River dyeing, is joining in on the Downtown Chicago St. Patrick’s Day celebrations 27 stories above it all with a special event on Saturday, March 16th with doors opening at noon. Complete with everything from themed cocktails with DJ entertainment all day to delicious Irish fare courtesy of Executive Chef Nathan Sears, the rooftop destination is rolling out all the stops to celebrate the Irish holiday. ROOF on theWit is getting into the festive spirit with a variety of themed beverage offerings and a daytime Irish-inspired menu for guests to enjoy. Specialty cocktails on the menu include Frozen Lucky Charm Horchata with cocoa puff infused Jameson Caskmates Stout, ROOF’s mocha horchata blend, cinnamon, and whipped cream served in a leprechaun cup, Dual Citizenship with Avion Silver, spiked lime curacao, and house lemon sour, Kilt in the Wind with Absolut Elyx, matcha cordial, bright citrus, and sparkling water, and Jamo Fireball with Jameson, tupelo honey, agave nectar, and cinnamon. Those feeling the luck of the Irish can also take advantage of bottle service packages including End of the Rainbow and Get Lucky. Food items added to ROOF on theWit’s menu for the celebrations include Colcannon Croquets with breaded and fried potato and kale mask with chive crème fresh, and Irish Bacon Sliders with cured and grilled pork loin, Irish cheddar, sautéed cabbage, and black pepper aioli in a potato bun. Tickets to this event are $20 and can be purchased via Eventbrite. For patrons looking to keep the party going, ROOF will be bursting with neon lights and live DJ entertainment starting at 9pm. For more details, table reservations, and nightlife entertainment, guests can visit www.getluckyonroof.com. To get Chicagoans and visitors to the city in true St. Patrick’s Day spirits on Saturday, March 16 before, during or after the festivities of the day, State and Lake Chicago Tavern is offering guests to wet their whistles with St. Patrick’s Day green Bud Light cans and Jameson shots, plus stout beers at the bar. No Leprechaun’s meal would be complete without the truly classic dishes, Irish Lamb, Barley Stew and the Reuben Sandwich. The menu will feature a limited number of State and Lake Chicago Tavern’s top dishes and be available for brunch, a mid-afternoon snack, dinner and at the bar. For more information on State and Lake Chicago Tavern, visit https://stateandlakechicago.com/. Fondue is getting an Irish twist at Geja’s Café on Sunday, March 17! Geja’s Café is offering a St. Patty’s Combo ($40/person) featuring a four-course corned beef and potato fondue dinner, which includes Geja’s Famous Cheese Fondue served with mixed breads, a crisp greens salad, a Corned Beef and Potato entrée with assorted veggies, and three sauces including Green Peppercorn Dijon, Stout Mustard and Guinness BBQ. Of course, no Irish fondue dinner would be complete without chocolate fondue served with green Rice Krispie Treats and assorted fruits or an Irish Mule, Emerald Cocktail or Dark ‘N Stormy for just $8 each. For more information on Geja’s Café or to make a reservation, call 773.281.9101, or visit Geja’s online at www.gejascafe.com. For St. Patrick’s Day weekend, Friday, March 15 through Sunday, March 17, Z Bar will be awash in green, from the décor down to the playful three-leaf micro-clovers (and the occasional four-leaf clover if you’re lucky!) garnishing the specialty cocktails. House-Cured Corned Beef and Cabbage served with Guinness Nitro on draft and a pony of West Cork 10-Year Single Malt will be the showcase food-and-drink special ($30). For those who enjoy toasting St. Patrick’s Day the traditional Chicago way—with green beer—Z Bar will have it available on request that weekend only. The Dearborn, 145 N. Dearborn St., owned by the sister team of Clodagh and Amy Lawless (true Ireland natives!) will spread its St. Patrick’s Day festivities over four days. On Wednesday, March 13 and Thursday, March 14, the Loop restaurant will bring back a popular feature from past years, a Guinness pint glass engraving station. From 5 to 7 p.m., guests can have their glass engraved (complimentary, while supplies last) and enjoy samples of Guinness and Smithwick’s Premium Irish Ale. On Saturday, March 16, The Dearborn welcomes Celtic musicians Paddy Homan & The Noble Call for a live performance from noon to 8 p.m. Specials on Saturday and Sunday offered in addition to the regular menu include Corned Beef Reuben ($16), an All-Day Irish Breakfast of fried eggs, bangers and more ($19) and for dessert, a boozy Irish Blackout Trifle with Baileys mousse and a Guinness caramel swirl ($12). Grand Central Bar at Wells St. Market, 205 W. Wacker Dr., will be open on Saturday, March 16, pouring drink specials for downtown revelers in need of pre- or post-parade refreshment. These include Irish Coffee ($6) made with La Colombe brew, Tullamore Dew Irish whiskey and housemade vanilla cream; Paddy’s Day Punch ($5) with Grey Goose vodka; $5 Irish beers; and $3 domestic beers. Parade-goers looking for healthy fare will find it at FARE, also at Wells St. Market. The day’s specials include an Egg Sandwich with Nueske’s bacon, caramelized onions and Havarti; Turkey and Sweet Potato Chili with cornbread; Avocado Toast with pickled carrots, toasted seeds and microgreens; and Cauliflower and Chickpea Kale Salad. Filini at the Radisson Blu Aqua Hotel, 221 N. Columbus Dr., will host a music- and dance-filled St. Patrick’s Day featuring The McDonald Family Pipe & Drum Band and Irish dancers from 11 a.m. to 1 p.m., Saturday, March 16. Pork & Mindy’s will offer a trio of Irish-themed specials in March at its Bucktown, Wells St. Market and Forum 55 stores: a Guinness Smoked Beef Sangwich ($10), Guinness Smoked Beef Totty ($10) and a shortbread-topped Irish Coffee ‘Nado shake ($6). Taking a cue from the dyeing of the Chicago River, Gemini, 2075 N. Lincoln Ave., will turn its Squirtsky Draft cocktail green for the holiday. The drink combines Prairie Organic Vodka, Rock Town Grapefruit Vodka, lime, grapefruit and soda ($11). The restaurant also will offer a corned beef and cabbage special ($24). In another nod to the dyed-green Chicago River tradition, all 10 Stan’s Donuts & Coffee stores will bake up Green River Glazed Donuts ($2.75) Wednesday, March 6 through Sunday, March 17. The yeast-raised donut has a green glaze and a topping of white sprinkles. Stan’s also will offer festive Irish-themed coffee drinks—St. Patrick’s Hot Chocolate, St. Patrick’s Mint Mocha and Irish Cream Cold Brew—from Friday, March 1 to St. Patrick’s Day. At Miss Ricky’s in the Virgin Hotels Chicago, 203 N. Michigan Ave., St. Patrick’s Day fare gets the diner treatment. Specials include a Corned Beef Breakfast Bowl ($10) with scrambled eggs, potatoes and hollandaise, plus Irish Car Bombs ($10) and other boozy drinks. From 7 a.m. to 1 p.m., Commons Club at the Virgin will put out a full breakfast buffet with pastries, charcuterie, French toast sticks, salads and more ($30). You can’t go wrong with a classic corned beef and cabbage plate for the holiday, and that’s what you’ll get at Walton Street Kitchen + Bar, 912 N. State St. for $24. 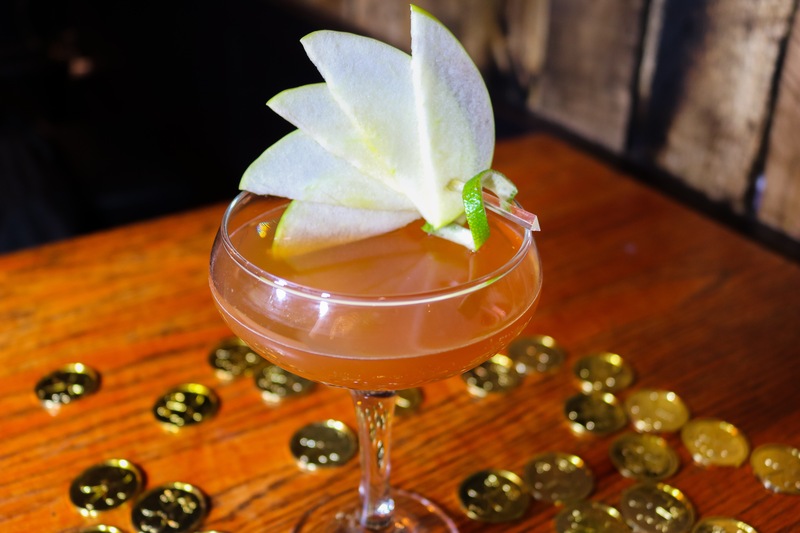 Channel your inner Irishman for St. Paddy’s Day this year at Saint Lou’s Assembly’s "Saint Lounihan’s" bash! On Saturday, March 16 from 9 a.m. to 2 a.m., search for your personal pot of gold on Saint Lou’s spacious patio while imbibing in green beer towers and boozy shamrock shakes. Soak up all the booze with food options including an Irish twist on a meat n’ three made with corned beef, Patty O’Melts and more delicious luck of the Irish-inspired dishes. 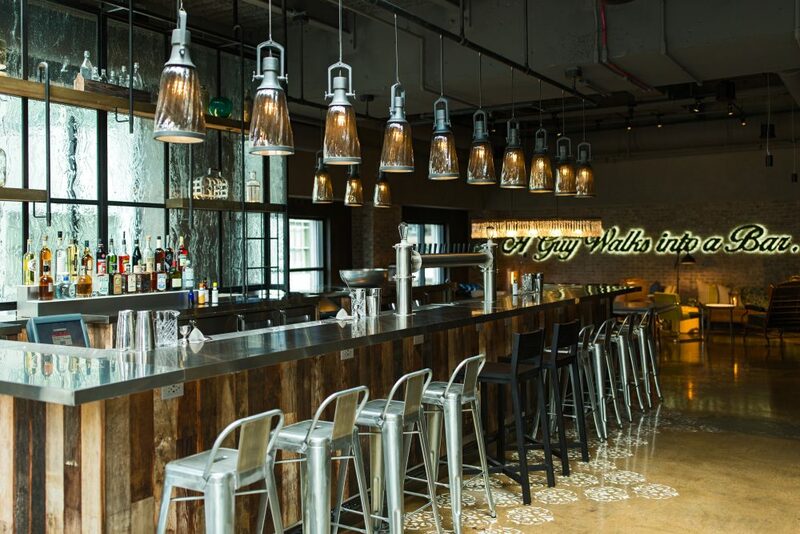 Drawl, a traditional, southern-style restaurant with a modern twist in Lincoln Park, is celebrating St. Patrick’s Day with an Irish spin on their popular Whiskey 101 night on Thursday, March 14. Every Thursday from 7pm-9pm, Drawl hosts Whiskey 101 Night in their Whiskey Room. Each Thursday, a brand gives guests the lowdown on bourbon, rye, scotch and more with complimentary tastes. Past participants include Dalamore, Basil Hayden and Mammoth Distilling. On Thursday, March 14 Glendolough will be sampling drams along with a special cocktail from the Drawl team featuring pear and spice. On Saturday, March 16 from 9am - 3pm, Morton’s The Steakhouse will come alive to celebrate St Patrick’s Day at its Wacker Place (65 E Wacker) location, which is situated close to the Chicago River. Enjoy Chef select specials and live acoustic music from Bear and Jake Acoustics. Private Party Suites are also available. You won't have to get up at the top o' the morning to enjoy a brunch of Irish fare this St. Patricks Day at The Kitchen Chicago. 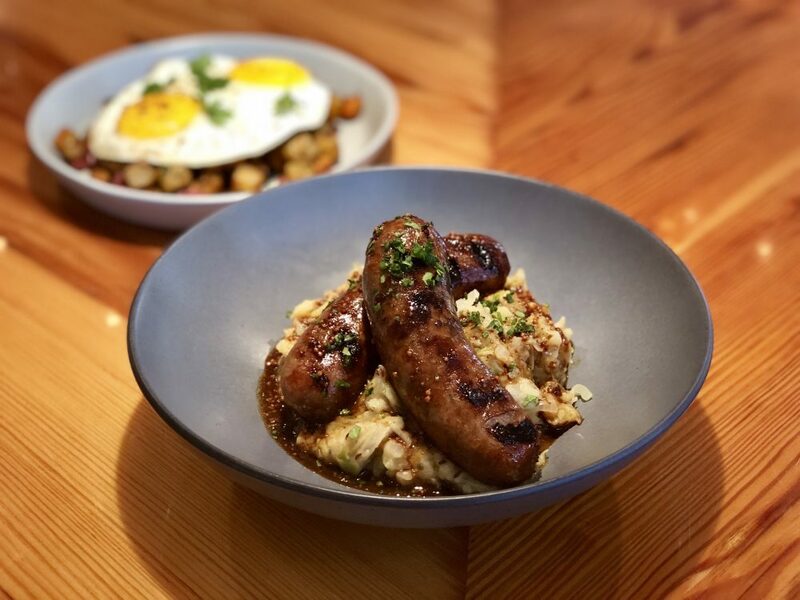 From 10am - 3pm on Saturday and Sunday, March 16 and 17, The Kitchen will be offering their spin on two classic dishes - Bangers & Colcannon Mash and Sweet Potato Corned Beef Hash (and don't forget a pint of Guinness!) Enjoy one of the Irish dishes as you and your friends take in the Riverwalk views of the GREEN Chicago River on 3/17. Saturday, March 16 from 1 p.m. to 3 a.m. and Sunday, March 17 from 5 p.m. to 2 a.m. Guests who visit aliveOne in Lincoln Park during St. Patrick's Day weekend will enjoy festive specials like $12 Irish Car Bombs and $7 shots of Jameson. For parade-goers looking for an escape from downtown, aliveOne will open early at 1 p.m. on Saturday, March 16. Easy Bar will open at 3 p.m. on Sunday, March 17 where guests can refuel with a Happy Hour from 3 p.m. to 5:30 p.m. featuring $5 glasses of rosé and $5 Moscow Mules. Specials available all evening include $2 Miller High Life bottles and $5 shots of Jameson Caskmates IPA edition. Estelle's will keep the St. Patrick's Day party going until 4 a.m. with a drink combo featuring a Guinness can with a shot of Jameson for $12. Saturday, March 16 beginning at 11 a.m.
St. Patrick's Day party-goers looking for a hangover cure will enjoy unlimited Kati Rolls (choice of chicken or chickpea) with fries and samosas for $18* beginning at 11a.m. (while supplies last). Hakka Bakka's Kati Roll is the perfect food after a late night out with friends, the way it was intended to be had in India. *Dine-in only. Cannot be combined with any other offer. Available while supplies last. https://www.eventbrite.com/e/st-pattys-day-hubbard-inn-tickets-54677163869. For group packages and table reservations, email stpats@hubbardinn.com. On Sunday, March 17, Hubbard Inn will host a $20 St. Patrick's Day bottomless brunch featuring a choice of mimosas, bloody mary's or Guinness with the purchase of a brunch entree (90-minute limit on bottomless drinks). Themed brunch items will include Corned Beef and Hash and additional drink specials will include $5 Guinness and $9 Irish Car Bombs. Reservations are available through OpenTable. Located just steps from the Chicago River and all the parade action, Joy District and Parlay will offer a breakfast buffet and premium open bar package from 10 a.m. to 3 p.m. on Saturday, March 16. Tickets start at $100 and can be purchased by visiting https://www.eventbrite.com/e/st-pattys-day-joy-district-tickets-54677515922?aff=erellivmlt. For table or group reservations, email stpats@joychicago.com. On Sunday, March 17, Parlay will host a $40 per person St. Patrick's Day "Brunch So Hard" party from 11 a.m. to 3 p.m. featuring a brunch buffet and bottomless mimosas. There will be themed items like green eggs, Lucky Charms and green mimosas along with brunch favorites like a carving station, seafood table, charcuterie, chili and pizza bar, waffle station and more. Jameson shots will also be available for $7 each. 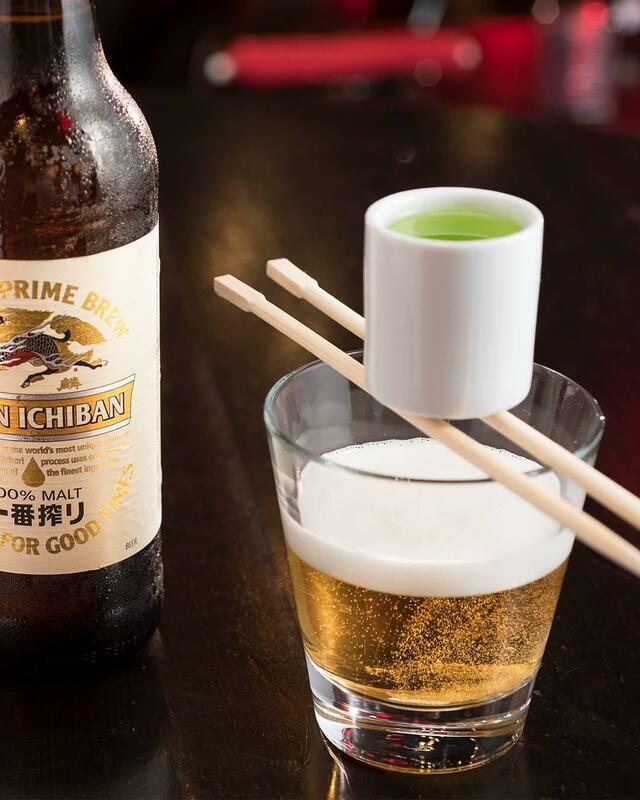 All brunch guests will have a chance to win a Bulls jersey and ticket during a raffle at 3 p.m.
Kizuki Ramen and Izakaya in Lincoln Park and Wicker Park will offer a $1 sake bomb special with any ramen purchase for the week leading up to St. Patrick's Day. 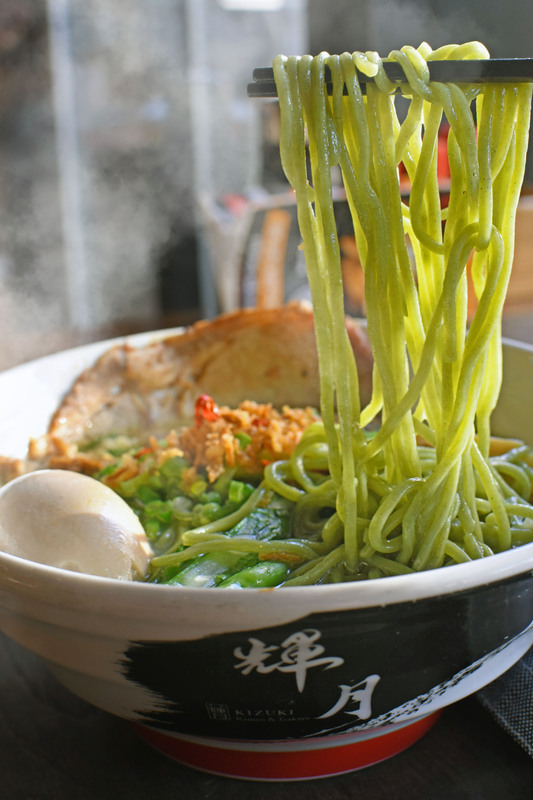 Guests can also upgrade to green kale noodles for free with their ramen purchase (normally $1.50). Patrons can pair their sake bomb with over 10 bowls of ramen. Highlights include Tonkotsu Shoyu Ramen (rich pork broth flavored with Yamaguchi soy sauce, topped with black garlic oil), great for ramen lovers looking for something that's hearty, rich and full of flavor, and Yuzu Shio Ramen (French sea salt, kelp and Japanese citrus based), a refreshing ramen unlike the traditional ramen stereotype of meaty and creamy. Remedy will offer $5 shots of Jameson, Tullamore Dew and Powers Irish Whiskey on Sunday, March 17. For those looking for a late night after-party on St. Patrick's Day, Remedy will open from 4 p.m. to 5 a.m. on Saturday, March 16. Located a few blocks from the heart of Logan Square, The Owl will offer a Guinness and shot of Jameson for $8 during St. Patrick's Day weekend. Perfect for a late night dance party, The Owl will feature DJ sets by Esteban La Groue and DJ Danny Dan from 10 p.m. to 5 a.m. on Saturday, March 16. In celebration of St. Patrick's Day, from Tuesday, February 26 through Sunday, March 17, Weber Grill Restaurants in Chicago, Lombard and Schaumburg will serve up festive lunch and dinner specials. Diners will enjoy a Hickory-Smoked Corned Beef Sandwich and Corned Beef Dinner. 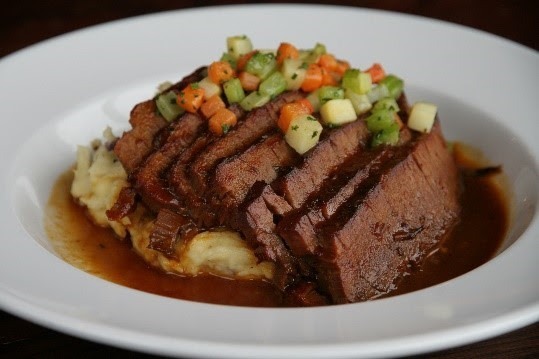 Weber Grill will put their own spin on these traditional Irish favorites by using a Weber Smoker to combine classic corned beef flavors with the smokiness of a hickory-smoked brisket. Offering: Saturday, March 16 - With views of the green Chicago River, you can’t go wrong with spending St. Patrick’s Day at Flight Club. 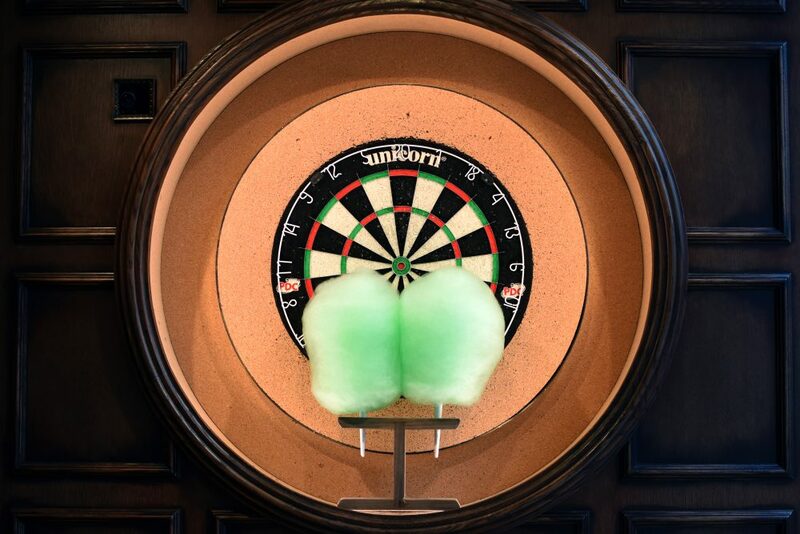 Guests can take advantage of the $250 food and beverage package that includes 2 hours of oche time and green Shamrock Shake cotton candy from 8am-4pm. Saturday, March 16 + Sunday, March 17 - Don’t miss out on $6 pints and $19 pitchers of green beer, $6 Irish Coffees, and $10 Dublin Donkeys at Dutch & Doc’s! This is also the chance to try their D&D Reuben.. a Irish whiskey braised corned beef with chili thousand island dressing, Swiss, and sauerkraut, served with pastrami chips. Stop by from 2pm-5pm for happy hour specials including $3 pints of green beer, $8 Old Fashioneds, $6 wine by the glass, $1 wings and more! Kegs & Eggs (Saturday, March 16) - You can't drink all day, unless you start in the morning! HQ takes St. Patrick’s Day very seriously, so they are opening the doors at 9 AM to kick off the festivities. The ultimate St. Patty's Day party kicks off with beers, cocktails, breakfast buffet, DJ's spinning all morning, leprechauns, pots of gold, and the entire space decked out in green chaos. Price / Tickets: $25 GA from 9AM-12PM, can be purchased online or at the door. Saturday, March 16 - Thirsty for Green Beer? Lucky for you, WhirlyBall in Bucktown is offering $4 Green Bud Light Drafts along with other St. Patrick’s Day necessities like $7 Jameson shots. To celebrate in true Irish form, WhirlyBall will also offer reuben eggrolls and Irish flatbread (corned beef, Swiss cheese, Thousand Island drizzle, green onion) to wash down all that green beer. Get in the spirit with Little Goat Diner’s "Shama Lama Mint Shake" filled with vanilla ice cream, mint syrup and chocolate cookie crumble! From 12:00pm to 3:00pm - The J.Parker will be offering a St. Patrick’s Day package complete with domestic beer, premium well mixed drinks (no shots or rocks pours) and house wines. Indulge in a food buffet featuring a mini Chicago hot dog bar, truffle fries and sweet potato fries. There will be party favors available and hits spinned by DJ Mark Twice all afternoon! Note: This is not a closed event, tickets will be available at the door. 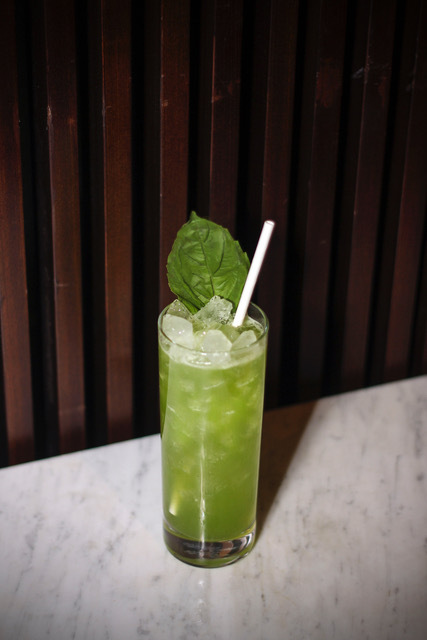 Beat the crowds while still enjoying those insta-worthy green drinks at RA Sushi. Available only from March 15-17, guests can enjoy some of RA’s o’riginal St. Patty’s Day-inspired cocktails and get their green on all weekend long. All weekend long (March 15th-17th), Daisies will be serving Corned Beef and Cabbage Pierogis. Daisies’ pierogis are inspired by chef Joe Frillman’s childhood growing up in the Midwest. The current dinner pierogis are served with potato, mussels, and beer you cook with and for brunch, fried pierogis with honey, farmers cheese and seasonal jam. For a limited time, Daisies will be putting a special twist on this classic menu item in honor of St. Patrick’s Day! Will be hosting a party on Sunday, March 17 from 9am - 4pm with DJ J.Larroc starting at 12pm until the party’s over. 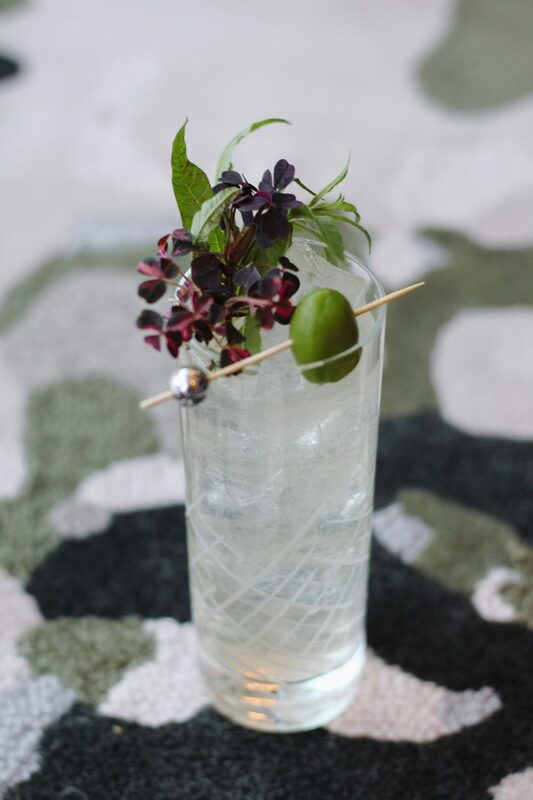 They will be serving a special cocktail called the Shamrock Swizzle (gin, basil-snow pea-arugla syrup, citrus) for $11. As always, The Lounge’s deal of 50% off all drinks will be running from 4pm to 6pm. The Heritage in Forest Park will be running a special for brunch that’s available on Saturday, March 16 and Sunday, March 17. In honor of the holiday, they will be serving Corned Beef Hash, House Sauerkraut, Hen Egg for $15. There’s no holiday like St. Paddy’s Day at Kitty O'Shea's, as the pub features Irish musicians, custom house brewed red ale and cuisine that will bring the luck of the Irish. The bar has become Chicago’s unofficial after party as it’s steps from the St. Patrick’s Day parade (which Kitty’s has a float in!) and celebrates with month-long festivities including pint glass engravings, Shannon Rovers Bagpipes, giveaways, Guinness sampling and a new Ripple Machine for personalized pint designs. Krispy Kreme Doughnuts will put a festive twist on its Original Glazed Doughnuts®, turning them green for all of St. Patrick’s Day Weekend at Chicagoland’s shops in Homewood, Evergreen Park and Hillside. 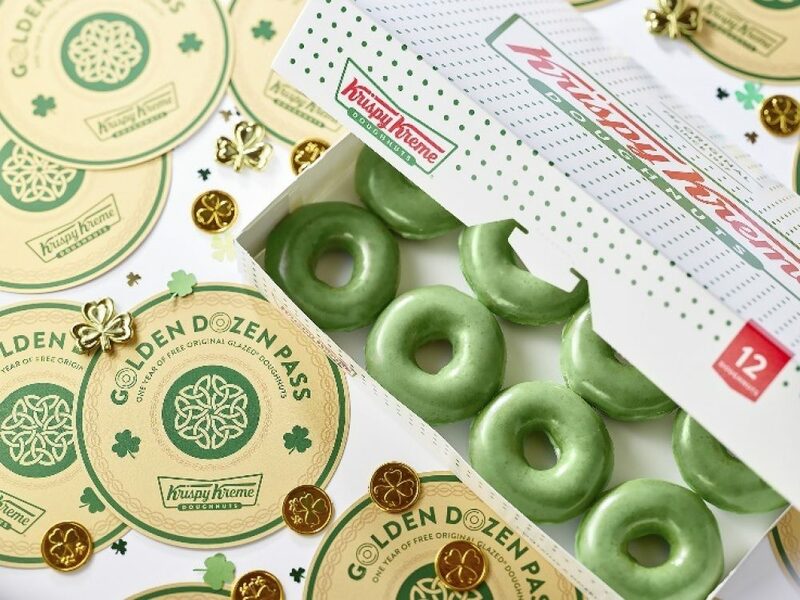 Specially formulated with green dough and glazed hot in traditional Krispy Kreme fashion, the iconic Green “O’riginal” Glazed Doughnuts are available Friday, March 15 – Sunday, March 17. With St. Patrick's Day coming up, the River North restaurant will be featuring a special Pre-Soak Brunch on Parade Day (Saturday, March 16th) from 8am - 11am.